The MSE Equity Price Index opened the week in positive territory as it added a further 0.18% to 4,692.073 points with various equities posting gains albeit on light volumes. On the other hand, BOV and MIDI registered declines while Mapfre Middlesea and Farsons closed the day unchanged. Trading volumes were weak with only €0.15 million worth of shares changing hands on Monday. Among the positive performers, Malta International Airport plc regained the €6.65 level (+0.8%) across 3,440 shares. A single deal of 3,940 shares lifted the equity of RS2 Software plc 0.7% higher to the €1.42 level. Also among the large companies, GO plc added 0.4% to the €4.82 level on activity totalling 4,750 shares. Shareholders as at close of trading on April 24 will be entitled to an ordinary final net dividend of €0.14 per share and will also be eligible to receive a special interim dividend of €0.41 per share. HSBC Bank Malta plc climbed 0.6% to a near two-month high of €1.67 across 7,618 shares. The bank is scheduled to hold its annual general meeting this Wednesday April 17. Both Plaza Centres plc (1,000 shares) and BMIT Technologies plc (5,000 shares) advanced by 1% to the €1.04 and €0.53 levels respectively. Last Friday, Plaza reported a 3.7% drop in EBITDA and a 13.7% decline in net profits for 2018 reflecting the short-term impact of the refurbishments and enhancements undertaken as well as some one-off charges. The directors are recommending an unchanged net dividend of €0.0294 to all shareholders as at close of trading on May 2. In the annual report, the directors explained that the various investments undertaken by the company during 2018 were essential to support the continued demand for its properties. Looking ahead, the directors noted that they are envisaging an improvement in occupancy levels in 2019 when compared to 2018.
International Hotel Investments plc rebounded by 3.4% to the €0.755 level on trivial volumes. Medserv plc jumped 2.8% to the €1.09 level albeit on just 3,310 shares. The oil and gas logistics specialist is due to publish its results for the 2018 financial year on April 24. In the property segment, Malita Investments plc surged by 4.1% to the €0.885 level on insignificant volumes. In contrast, MIDI plc eased by 0.8% to the €0.615 level across 13,370 shares. The company is due to publish the results for the 2018 financial year on April 25. 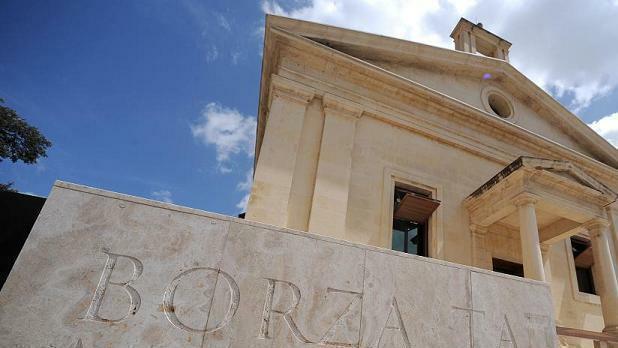 Bank of Valletta plc shed 3% to the €1.30 level on activity totalling 31,369 shares. On Monday, BOV announced that it shall be redeeming the 4.25% subordinated bonds maturing on May 17, 2019 in full. The last trading date in the bonds will be Monday April 29. Meanwhile, BOV’s insurance associate – Mapfre Middlesea plc – maintained the €2.36 level across 4,370 shares. The company is due to hold its annual general meeting on April 26. Simonds Farsons Cisk plc held on to its near sixteen-month high of €8.75 across 2,290 shares. On Monday morning, Farsons announced that its Board of Directors is scheduled to meet on Wednesday May 15 to consider and approve the financial results for the year ended January 31, 2019. The directors will also consider recommending the payment of a final dividend for approval by shareholders at the upcoming annual general meeting scheduled to be held on Monday June 24, 2019. The RF MGS Index trended lower for the first time in over a week as it slipped by 0.29% to 1,113.176 points. Prices of Malta Government Stocks dropped as bond yields in the euro area rebounded sharply amid increased optimism over possible positive developments related to current discussions on trade between the US on the one side and China and the EU on the other.